Detectives with the Violent Crimes Unit are interested in speaking to the individual in these photos. They believe he may have information that would be pertinent to two robbery investigations that occurred at the USAA Financial Center within two hours of each other. Killeen Police are investigating two overnight Robberies. 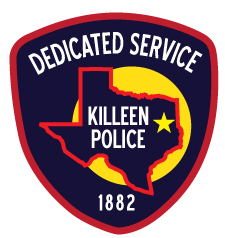 Killeen Police responded to the USAA Financial Center located at 900 W. Central Texas Expressway in reference to two separate Aggravated Robberies. Officers responded to the first robbery on Tuesday, June 27, 2017, at approximately 10:37 p.m. Officers subsequently responded to a second robbery at approximately 12:29 a.m. on Wednesday, June 28, 2017. Officers were told that in each robbery, the victims were approached while using the ATM by two black males; one displayed a weapon. The suspects demanded money from the victims and fled the area in an unknown direction. They were last seen wearing hooded sweatshirts and masks over their faces. One of the victims was assaulted by the suspects and he was treated and released on scene. Detectives with the Criminal Investigation Division, Violent Crimes Unit, suspect the robberies to be connected, but are unable to determine if they are at this time. Each incident will be investigated individually. Detectives are asking anyone who has information about these Aggravated Robberies to contact Crime Stoppers at 254-526-TIPS (8477) or go online at www.bellcountycrimestoppers.com. You can also download the P3Tips App for IOS and Android and give an anonymous tip. All information given is anonymous and confidential, and if your tip leads to the arrest of the person responsible for these Aggravated Robberies, you could be eligible for reward up to $1,000 in cash. Other scammers are targeting the elderly. They are requesting money, usually in the form of gift cards, on behalf of a love one. The scammers lead the victim to believe their love one has been arrested and has to have money to get out of jail. The scam is just a different version, but the end goal is always the same, they are trying to steal the victim’s money. They are spoofing local phone numbers to fool caller ID so that victims believe they are speaking with law enforcement or an official agency. Do not give out personal information over the phone. Scammers will use social engineering tricks to make a victim believe they are only verifying personal information when, in reality, the victim is being tricked into giving it up. When in doubt, please contact law enforcement for assistance or a family member prior to making any purchases or payments. Killeen Police investigate an Armed Robbery at a Convenience Store. Officers responded to a 911 call about a Robbery at the 7-Eleven Convenience Store located at 3600 Clear Creek Road, on Thursday, June 29, 2017, at 12:48 a.m. Upon the officers’ arrival, they were told that two black males entered the store, displayed a weapon and demanded money. The suspects fled the area in an unknown direction with cigarettes and undisclosed amount of money. The suspects were last seen wearing dark-colored hoodies. No injuries were reported. Detectives with the Criminal Investigation Division, Violent Crimes Unit, are asking anyone who has information about this Aggravated Robbery to contact Crime Stoppers at 254-526-TIPS (8477) or go online at www.bellcountycrimestoppers.com. You can also download the P3Tips App for IOS and Android and give an anonymous tip. All information given is anonymous and confidential, and if your tip leads to the arrest of the person responsible for this Aggravated Robbery, you could be eligible for reward up to $1,000 in cash. Killeen Police investigate an Aggravated Robbery at a Wendy’s Restaurant. Officers responded to the Wendy’s Restaurant located at 1201 S. Fort Hood Street, on Thursday, June 29, 2017, at 12:30 a.m., after receiving a 911 call about an Armed Robbery. Upon the officers’ arrival, they were told by employees that two black males approached the drive-thru window, displayed a weapon and demanded money. The employees retreated into the store. No injuries were reported. The suspects were last seen wearing dark-colored hoodies and fled in an unknown direction. Killeen Police Department would like to advise the community of possible road closures and traffic delays due to the funeral service and processional for former General Robert M. Shoemaker on Wednesday, June 28, 2017. The procession is expected to leave the Killeen Civic & Convention Center at approximately 2:30 p.m. proceeding to the Central Texas State Veterans Cemetery. Expect traffic delays and/or road closures on W.S. Young Drive near the convention center, West Elms Road towards Highway 195 and S. Highway 195 towards the cemetery. The Killeen Police Department would like to ask everyone to drive safely and obey all traffic laws. The suspect in this case is identified as Sean Dixon, 32, of Killeen. Detectives screened this case with the Bell County District Attorney’s Office and obtained complaints charging Dixon with two counts of Aggravated Assault. Bond was set at $100,000 for each charge. He was released after posting $200,000 bond. Also arrested in the incident was Peter Minott, 28. Minott was arrested for an outstanding warrant out of Harker Heights for Aggravated Assault. On Wednesday, June 14, 2017, at approximately 5:19 p.m., Killeen Police Officers responded to the 5200 block of Birmingham Circle after receiving a call about people fighting. The caller advised a male entered a residence with a gun. Officers arrived and located two victims with lacerations from a bladed object. Officers placed one male under arrest for Aggravated Assault with a Deadly Weapon. The suspect, who was also injured during the incident, was treated at a local hospital and taken to the Killeen Police Department Jail. The two victims were transported to local hospitals with injuries and later released. The Killeen Police Department continues to investigate this case and it will be reviewed by the Bell County District Attorney’s Office. Detectives with the Criminal Investigation Division, Violent Crimes Unit, are asking if anyone has any information on this crime or this suspect to contact Crime Stoppers anonymously at 254-526-TIPS (8477) or go online anonymously at www.bellcountycrimestoppers.com. You can also download the P3tips app for IOS and Android to give an anonymous tip. All information is confidential and anonymous and if your tip leads to the arrest of the suspect(s), you could be eligible to receive a reward up to $1,000 in cash. On June 15, 2017, the Killeen Police Department, Organized Crime Unit conducted a Prostitution Sting targeting Johns. Detectives made a total of 10 arrests for prostitution. The operation contrasted with a recent sting that targeted the prostitutes themselves. The operation was conducted in response to criminal activity being monitored by detectives, as well as citizen complaints and information regarding this crime. Detectives are conducting follow up investigations and more information may follow. The Killeen Police Department’s Homicide Unit has continued to conduct an investigation of murder at the 1300 block of Bonnie Drive on December 9, 2016. The Bell County District Attorney’s reviewed the case and complaints were issued charging John Eric Saenz with the Murder of Jason Francisco Munayco. John Eric Saenz was already in the Bell County Jail following his arrest on December 31, 2016, for Unlawful Possession of a Firearm. Saenz was arraigned by Justice of the Peace Theodore Duffield who set his bond at 1,000,000. The Killeen Police Department’s Homicide Unit would like to thank the public for their assistance with this case. On December 31, 2016, detectives learned that John Eric Saenz was in the Austin area and they began working with members of the U.S. Marshal’s Task Force. After further investigation members of the U.S. Marshal’s Task Force were able to locate him during a traffic stop. Saenz was taken into custody without incident at approximately 8:00pm; he was transported to the Travis County Jail where he awaits extradition. The Killeen Police Department would like to thank everyone who assisted with the arrest of John Eric Saenz. Killeen Police need help locating a wanted man who is believed to be Armed and Dangerous. Officers were dispatched to the 1300 block of Bonnie Drive at approximately 11:11pm, on Friday, December 9, 2016, after receiving a 911 call in reference to shots fired. Upon the officers’ arrival they located 41 year old Jason Francisco Munayco with a gunshot wound. Justice of the Peace Bill Cooke pronounced him deceased at 12:24am, on Saturday, December 10, 2016; he ordered an autopsy to be performed at the Southwestern Institute of Forensic Sciences in Dallas. Through the investigation detectives determined John Eric Saenz was at the residence during this shooting. This case was reviewed by the Bell County District Attorney’s Office and a complaint was returned charging Saenz with Unlawful Possession of a Firearm by a Felon. Justice of the Peace Bill Cooke issued a warrant for his arrest and suggested a bond of $500,000. Detectives would also like to speak to him about his involvement in this Homicide.